One of your kids is crying, the other one is throwing toys all over your car. Surely, as a parent, you’ve been there. Every parent has. Traveling with your loved little ones could truly be a challenge, regardless of whether the distance is short or long. 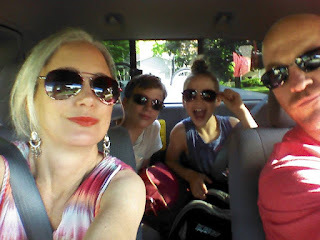 If you are planning to organize a family trip, you’d better read the following tips which could potentially spare you quite a lot of headache. Hungry kids are always grumpy kids. It’s as simple as that. This is why you need to pack quite a lot of snacks and ensure that each of your kids has a water bottle on hand, preferably one which is reusable. Not only will you be able to keep your kids fed and hydrated by doing this, you’d also save yourself quite a lot of cash not buying expensive street food. This is especially true if you are traveling with toddlers. They would rarely keep their food where it needs to be – in their mouth or stored away. Your car seats and floors are definitely going to feel it. Therefore, packing enough wet and dry wipes to quickly clean up stains and spills is something critical. Additionally, you might want to bring cups which are spill proof and containers which are properly sealed to reduce the spills or at least keep them to an absolute minimum. Not only should you pack extra clothes but it’s also good to have a lot of them on hand. This is very important, especially if your kid is going through potty training. That’s also helpful for wild ones who love tromping through puddles of mud whenever they get the chance. Having portable games with you on the trip is absolutely inevitable. However, you might want to make sure that the ones you pack are actually travel-proof. This requires some aforethought and consideration. For instance, you could easily give your kid a toy to play with in the back of your car, but handing him or her a coloring book and a set of markers might not be a good idea, especially if you don’t want to see the back of your car entirely drawn on. A great roof rack that can fit a luggage carrier is undoubtedly something that you can benefit from. With this in mind, finding the one that you need shouldn’t be so hard as there are quite a lot of options on the market. A luggage carrier is going to fit all of the clothes of your kids and it’s going to leave the trunk open for whatever else you may need to place there. As you can see, traveling with your kid shouldn’t be the overwhelming experience that it normally is. Following those steps is going to provide you with a lot more comfort and it’s going to make the journey just as enjoyable as the vacation itself.